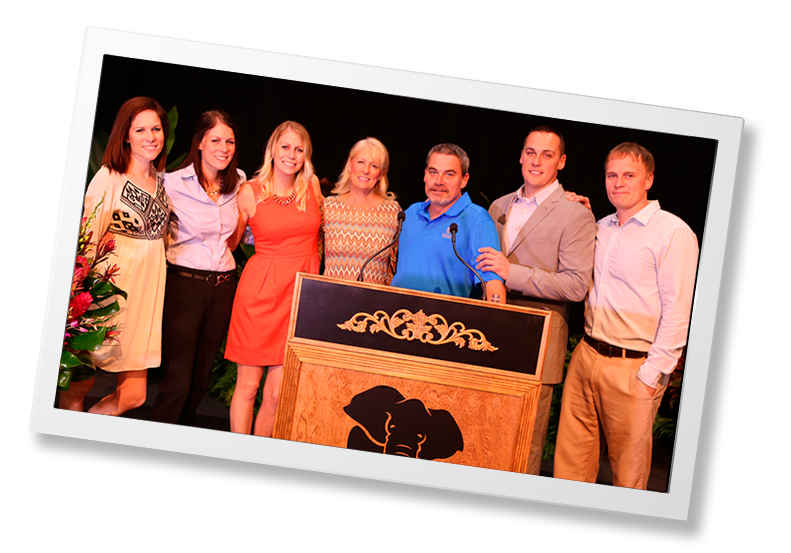 Kalahari Resorts & Conventions isn’t your typical resort. 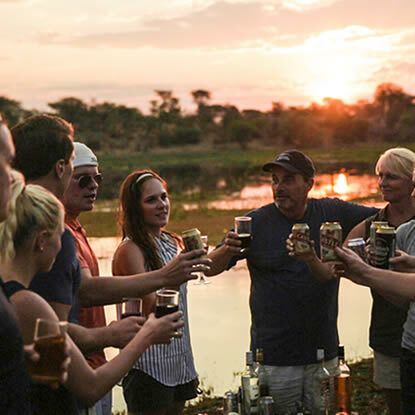 Its authentically African theme is designed to bring families together and is inspired by the Nelson family’s frequent trips to Africa. Kalahari opens its first property in Wisconsin Dells. 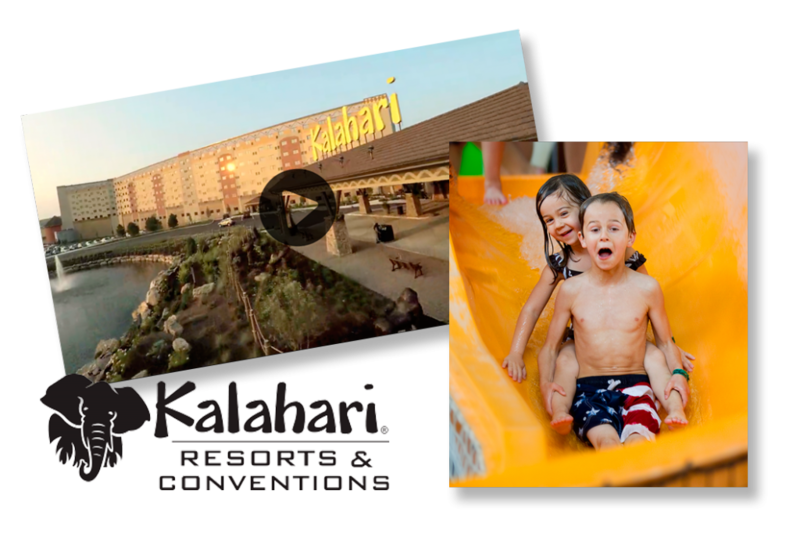 Kalahari Resorts & Conventions – Wisconsin Dells adds a $12 million expansion to make it the nation's largest indoor waterpark at 125,000 square feet. Kalahari Resorts & Conventions – Wisconsin Dells expands the Spa Kalahari to include a hair salon within the resort. The first-ever indoor surfing ride, the FlowRider®, makes its debut at Kalahari Resorts & Conventions – Wisconsin Dells, the nation's largest indoor waterpark. Kalahari Resorts & Conventions takes its ultra-popular, all-under-one-roof vacation concept on the road and opens a second property in Sandusky, Ohio. Kalahari Resorts & Conventions – Wisconsin Dells adds a championship golf course to the already extraordinary list of amenities when it purchases Trappers Turn Golf Club. Kalahari Resorts & Conventions – Sandusky marks its one-year anniversary by unveiling an impressive, newly expanded 77,000-square-foot outdoor waterpark, featuring a wide array of new amenities including luxurious African-styled private bungalows. Kalahari Resorts & Conventions – Sandusky opens its expanded indoor waterpark — the largest in the U.S. at 173,000 square feet — featuring a Texlon transparent roof and other unique waterpark features such as the world's largest behemoth bowl, mat racers, a second FlowRider® and much more. Kalahari Resorts & Conventions – Sandusky opens a $22 million convention center expansion, making it the largest convention center resort complex in the Midwest. Kalahari Resorts & Conventions opens its first property in the East Coast (and third in the U.S.) located in Pocono Mountains, Pennsylvania, featuring Pennsylvania’s Largest Indoor Waterpark. Kalahari Resorts & Conventions announces its intention to build the company’s fourth resort in Round Rock, Texas. Kalahari Resorts & Conventions opens “Phase 2” in the Pocono Mountains. Included in the expansion is America’s Largest Indoor Waterpark, additional rooms bringing the total to nearly 1,000, signature dining experiences and more. 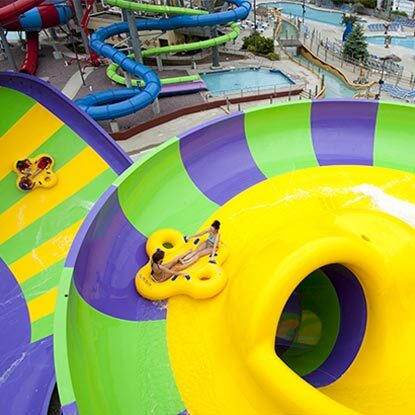 The Sandusky, Ohio property adds five new slides to its outdoor waterpark including family fun raft rides, extreme thrill rides and loop slides. 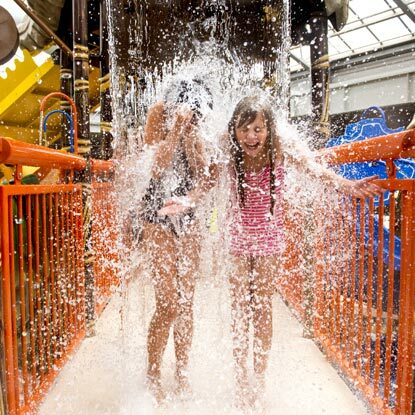 Kalahari Resorts founds National Waterpark Day on July 28, 2017. The holiday is recognized by National Day Calendar. 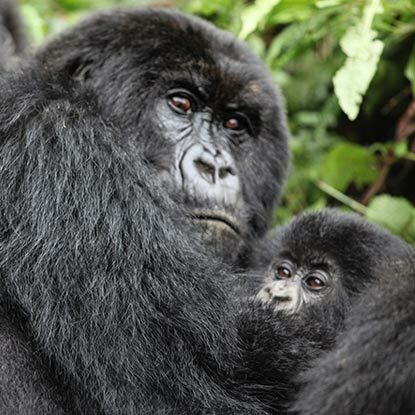 The World’s Coolest Holiday Getaway Is Just a Short Drive Away! For press inquiries – please contact Media@KalahariResorts.com • Visit KalahariResorts.com to book your stay and learn more.